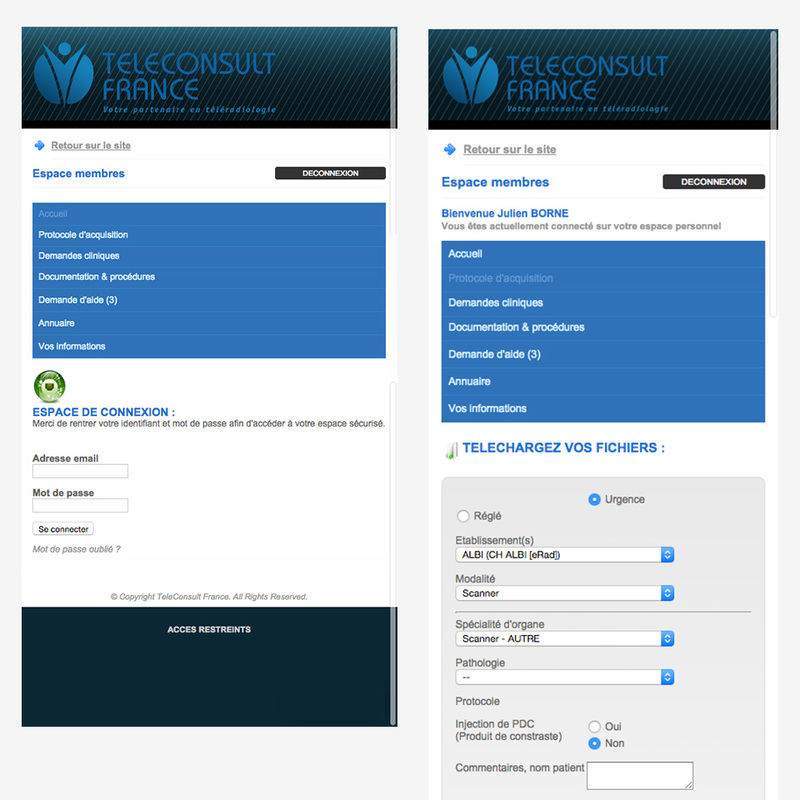 Description Creation of the teleradiology network website for Teleconsult France. The conception of this site was fully based on my administation panel. It allows to link establishments and doctors in order to analyse radiologic datas. For this, two securised spaces have been developed : one for the doctors and one for the establishments. The administration tool gives the right to handle all the requests sent on both spaces. My role was to build the administration panel and the custom database, covering the needs of the client which have evolved along this project. I also built the two secured front end spaces and dynamised the front end with another freelance developer.